Traveling East on I-64 south of Richmond, you pass dozens of road signs advertising fast food chains, but at one exit there’s a name you might not recognize – Safari Coffee. 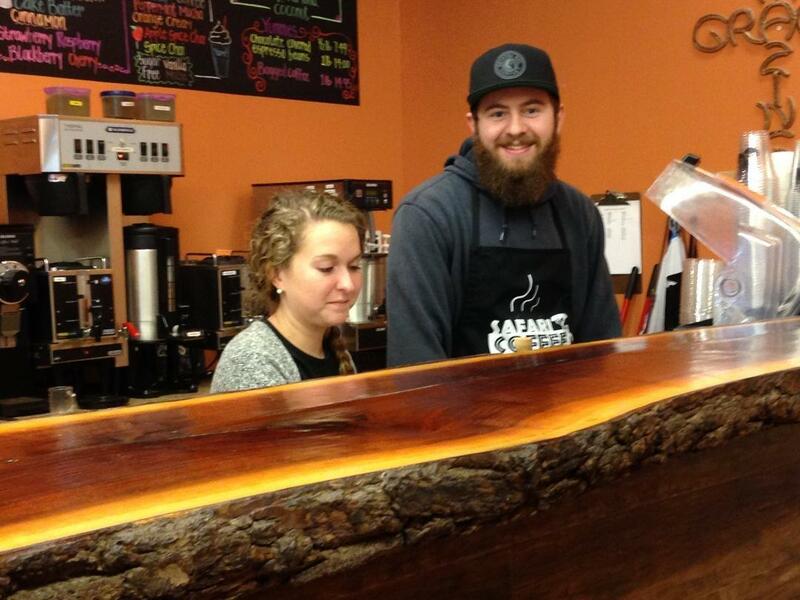 Rachel and Josh Townsend dispense coffee and prayers at Safari Coffee in New Kent. Safari Coffee sits between Food Lion and Subway in a small shopping strip off New Kent Highway. It offers the usual choices: lattes, espressos and cappuccinos, but that’s not all. Manager Rachel Townsend says there’s free wifi, fresh pastries --- and, for those customers who need it -- a prayer. The walls are decorated with scripture and photos of missionary work in Haiti, Kenya and the poorest parts of Richmond – work done by a church which founded the café. 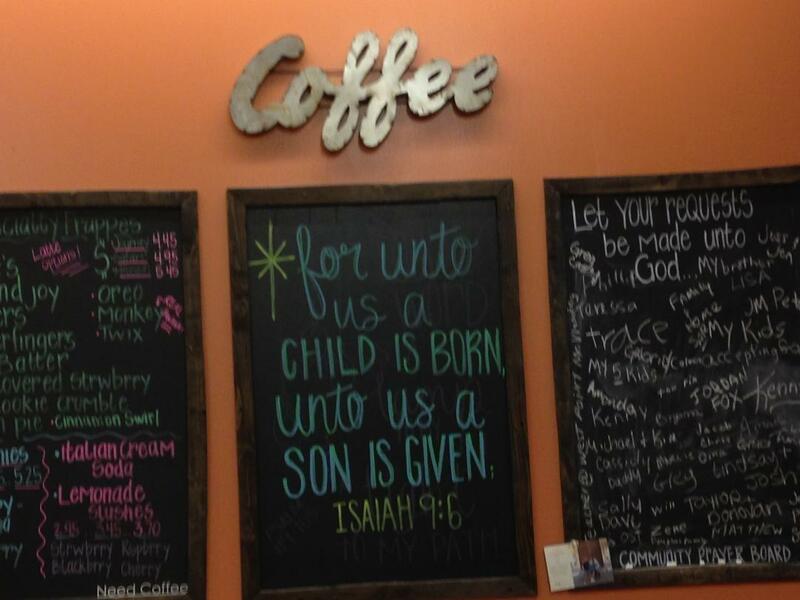 Scripture and photos of missionary work decorate this unique coffee shop off I-64. The name comes not from African coffee but from the country where profits helped build an orphanage.